RICHARD (RICK) ENGEL received his Bachelor of Education degree from the University of Regina and taught school for 6 ½ years, part of which included introducing the new sport of Sepak Takraw in Physical Education classes. Rick left teaching in 1993 and founded ASEC International, whose mandate was to ‘Bridge Understanding Between Cultures’, primarily between East and West, through Asia Presentations and ‘hands on’ experiences/activities in schools, of which one of the most popular cultural/sport activities became Sepak Takraw. Then in 1998, Rick founded, and is still President of, the Sepak Takraw Association of Canada (STAC) and since 2004 has been one of eight Vice Presidents of the International Sepak Takraw Federation (ISTAF), which governs the sport globally. In 2009 he helped establish, and is Vice President-Finance/Administration of, Sepak Takraw Saskatchewan, Canada’s first official Provincial Sport Governing Body (PSGB) for Sepak Takraw. In spite of the time and energy committed towards the administration of Sepak Takraw provincially & nationally in Canada, Rick still also competes in the sport at every level and has quite a collection of every colour of medal from both provincial and national championships, as well as a silver medal from the King’s Cup World Championships. He has been player/coach of Canada’s national team, leading them to 11 world/international championship events in Thailand, Malaysia, China and France since 1999. Rick has been awarded his international Coaching and Refereeing Certificates from ISTAF (2000), is currently completing his NCCP – Competition Development Certificate, is in demand for conducting Sepak Takraw Clinics all across North America, and has even conducted Sepak Takraw clinics in schools in France. Interviewed by TIME magazine in an article on Sepak Takraw (May 28, 2007, Canadian & Asian editions), Rick is considered one of the key pioneers in the promotion and development of Sepak Takraw world-wide, has authored or co-authored 4 books on the sport, including, “Sepak Takraw 101” (1st, 2nd, 3rd & 4th Editions … which has been translated into Indonesian and 3000 copies printed and put in Indonesian Schools) and “Get Active, Get Your Kicks! Sepak Takraw Benchmarks & Evaluation Resource Manual” (1st & 2nd Editions), and has produced 5 Sepak Takraw DVD’s. 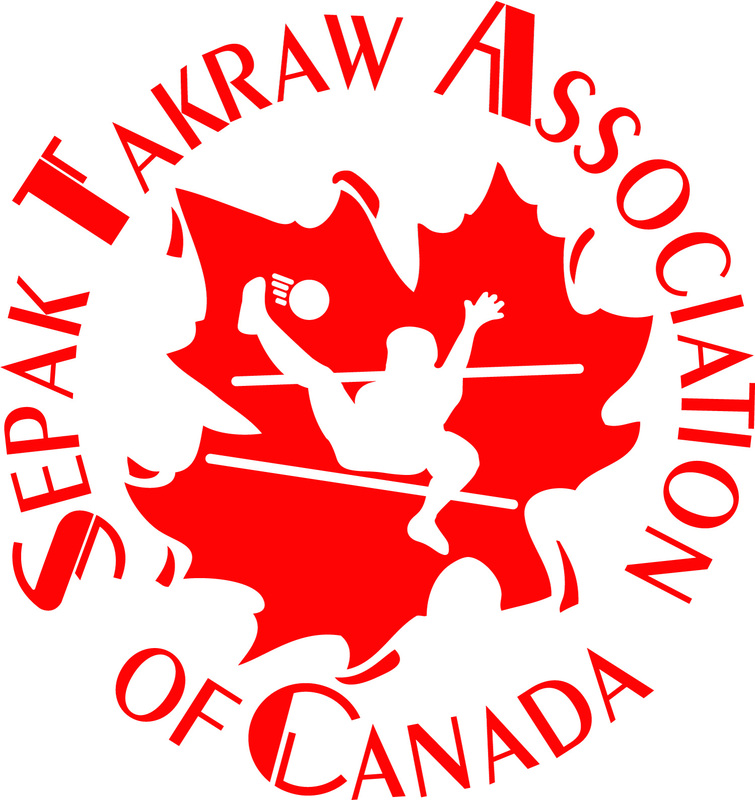 Rick has also helped create very informative national and provincial websites for the sport of Sepak Takraw in Canada, both of which have a high world-wide viewership, those being www.TakrawCanada.com and www.SepakTakrawSask.ca. Over the years Rick has also been instrumental in organizing bringing International Sepak Takraw Teams from THAILAND, MALAYSIA, JAPAN, CHINA and USA to compete in various Canadian Open Sepak Takraw Championships and in separate Demonstration Events all across Canada. Local, provincial and national programs have involved Laos, Karen, Burmese and Philippine Canadians in the sport and have provided great avenues for integration into Canadian Culture. In the spring of 2008, Rick was the recipient of the National “Enriching My Canada and Yours” (EMCY) Award for his work with Sepak Takraw and contributions to Diversity in Sports in Canada. Dave received his B.Sc. (Kinesiology) at the University of Ottawa and his B.Ed. at the University of Western Ontario. He played CIS football at Ottawa, McMaster and Bishop's ... as a kicker of course! Later went on to play an exhibition game with the CFL's Ottawa Rough Riders in 1994 and have a stint in training camp with the Toronto Argonauts in 1996. 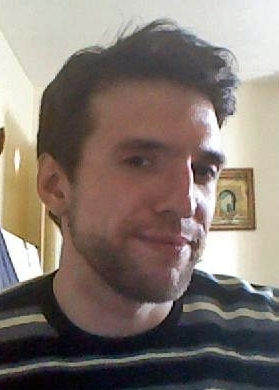 Dave now teaches elementary school in the York Catholic District School Board (YCDSB) north of Toronto. Dave has been involved with Sepak Takraw for almost as long as he has been a teacher. Always a champion of alternative and enriching Phys. Ed. practices and activities, near the beginning of his career, Dave saw a feature about Sepak Takraw on television and decided that the sport had to be given exposure on this side of the world. When Dave began to teach in a strong soccer community, he found STAC on-line and connected with Rick Engel. He was then able to properly introduce the sport - first in Phys. Ed. classes and then, the next year, as an interscholastic event. Right away, he was able to draw in the two nearest schools to form a small, manageable league. After that, other schools from across the YCDSB, and schools the YRDSB were also participating. The league has remained small with many schools coming and going, but with some coaches staying for the whole 12 years, so far. It can be tough to find coaches and/or gym time at certain schools, but it is never difficult to find young people eager to try what's shown in the photos Dave puts on the walls and the videos he shows in class. Dave's main focus is establishing Sepak Takraw in Canada using the school system infrastructure and using all opportunities available to make teachers aware of, and comfortable with, this exciting "new" sport. To that end Dave has made presentations at OPHEA conferences, taken teams to Regina to participate in the junior division of the Canadian Sepak Takraw Championships, and made presentations to teachers during Professional Development days. Once the sport is strong in the schools, community teams will also take root. Kim Engel has been an educator for 22 years as teacher, vice principal and principal. Kim achieved both her Bachelor of Education and Master of Education from the University of Regina. She was appointed by the Minister of Canadian Heritage as vice-president of the Celebrate Canada Committee of Saskatchewan and served in that role for 6 years, spearheading several initiatives in the province: Canada Day Poster Challenge; Poetry Contest; and co-chairing both the Celebrate Canada Centennial Jam in 2005 in Wascana Centre and the Celebrate Canada National Meeting. She was nominated for the Prime Ministers Award for Teaching Excellence in 1999 and was a recipient of the Women of Distinction Award in 2002. Kim has been a tremendous supporter, volunteer and ‘cheerleader’ for the sport of Sepak Takraw right from its beginnings in Canada. She has played an integral part by helping out at major events and tournaments, organizing volunteers, administrating, helping with the financial books, and simply always being willing to help and support her husband, Mr. Takraw himself, in the sport. Kim resides in Regina with her husband, Richard Engel, and their two daughters. Margaret Kunst is Director of Operations for the PuCKS Program, “Promoting Community through Kids in Sport” in Langley, British Columbia. PuCKS is an organization that uses sport as a tool to keep kids in school. This is a literacy/sport based program to help underprivileged youth achieve success in school and play a sport they love. Margaret has a passion for playing many sports, particularly hockey, baseball and golf. She discovered Sepak Takraw while working with newcomer youth from Thailand who arrived in Langley in 2008. She has been actively involved in promoting Sepak Takraw as a new sport in her community through community leagues, demonstrations in school P.E programs and at various community events. In 2010 she took a team from Langley to represent B.C at the Sepak Takraw Nationals Tournament in Regina. She is proud to call Trinity Western University a partner and assists the TWU Spartan athletes in the planning of the Annual Htoo Htoo Friendly Sepak Takraw Tournament of Champions hosted by TWU each spring. In 2011 Margaret was invited to participate in the NCCP (National Coaching Certification Program) committee meetings in Regina to help develop a coaching model for Sepak Takraw. She will also be participating in the CAAWS (Canadian Association for the Advancement of Women in Sport) Newcomer on the Move Project, to help develop sport and physical activity programs for newcomer girls and young women in Canada. 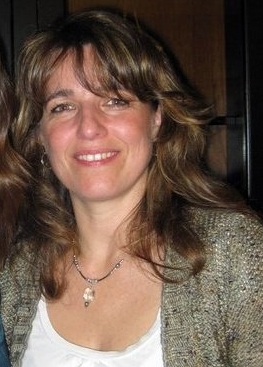 Margaret resides in Langley B.C with her husband and 4 children. Rizan grew up and received his high school diploma in Sri Lanka and began playing Sepak Takraw in the late 1980’s. Rizan represented the Sri Lankan National team in the first World Cup Sepak Takraw tournament (KEJOHANAN SEPAK TAKRAW SEDUNIA) that was held in Kuala Lumpur, Malaysia in 1988. The following year he was selected to again compete for Sri Lanka in the Kings Cup Sepak Takraw World Championships in Thailand. Rizan served as Captain for the Malay Association Kolonnawa (Sri Lanka) Sepak Takraw Team from 1989 to 1995. In 1999, Rizan had the opportunity to immigrate to Canada with his family, first living in Montreal, now in Toronto, where he works for a leading Airline Company at the Toronto Pearson International Airport. Rizan got involved with Sepak Takraw in Canada through STAC starting in 2003. Brydon is a Sepak Takraw enthusiast residing in Halifax, NS. He was a founding member of the BC Sepak Takraw team, and was part of the Canadian National Sepak Takraw team from 2001 - 2003. Brydon's Sepak Takraw highlights have included appearances at multiple National tournaments (2000, 2001, 2002), the Canada-USA best out of 5 match series (2001), the US Open (2002), and the Kings Cup World Championships in 2001 at which Canada received a Silver Medal in the entry level division. Brydon graduates from Dalhousie Medical School in 2012 and is excited to be part of this growing sport.